Highway Covers: What Are They? The I-5 Rose Quarter Improvement Project will complete some necessary safety improvements on I-5, which requires removing and rebuilding the bridges crossing over the highway. In the planning process the project team worked with the community on how these bridges could be rebuilt to help better connect the area. Highway covers provide a unique opportunity to make this happen. But what are highway covers? These covers provide new public space by spanning over I-5 and concealing more of the highway. 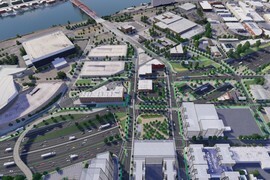 Roads, sidewalks and bike lanes go on top of the covers along with extra space for features such as landscaped areas for recreation, including a skate park or a playground; public art installations and displays that reflect the area's history and culture, picnic tables or plazas for outdoor entertainment; or other options based on community input. They'll also provide opportunities to better connect local streets and create a more cohesive neighborhood. These new highway covers are still being designed and we are looking for more input from the community before ultimately deciding what will go on them. What would you like to see on the highway covers? Find out more about highway covers and tell us what you would like to see on them. Provide your feedback on this project and stay informed about other ODOT projects currently under construction. More than 300 people have told us what improvements they'd like to see in the Rose Quarter area. Join them by taking our short survey! You may have seen or heard about current construction happening on I-5 and I-84. 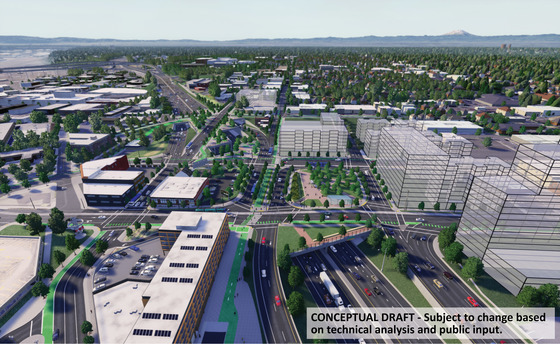 This construction is separate from the I-5 Rose Quarter Improvement Project, but will also help to improve travel and safety in and around the Portland area. 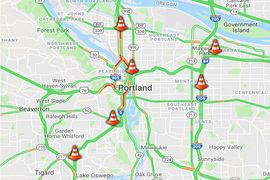 You can find more information about summer construction closures and impacts for these projects by visiting BigFixPDX.com.